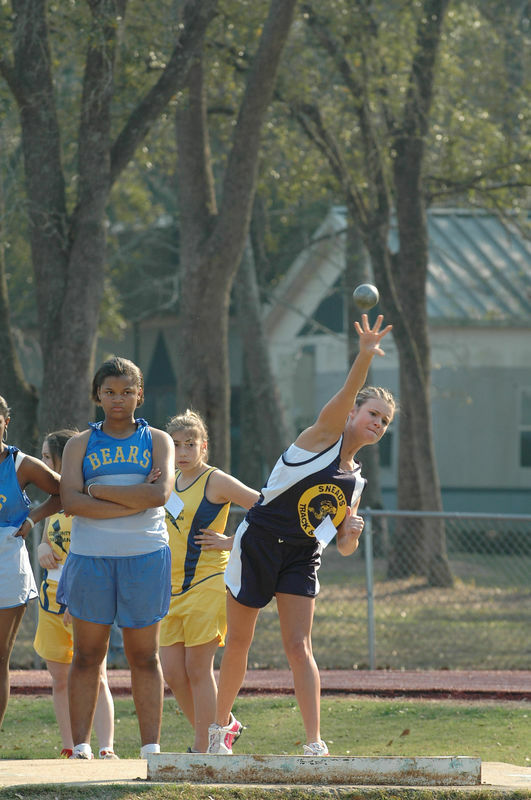 We move over to the infield again for some Girls' shot put action. Sneads is up. Former Marianna HS star runner Cedrick Gillette, now a MS teacher at Sneads, has "paid forward" his gift to a very enthusiastic group of kids. Until I hear a better story, Cedric and his kids are my area T&F Story of the Year.